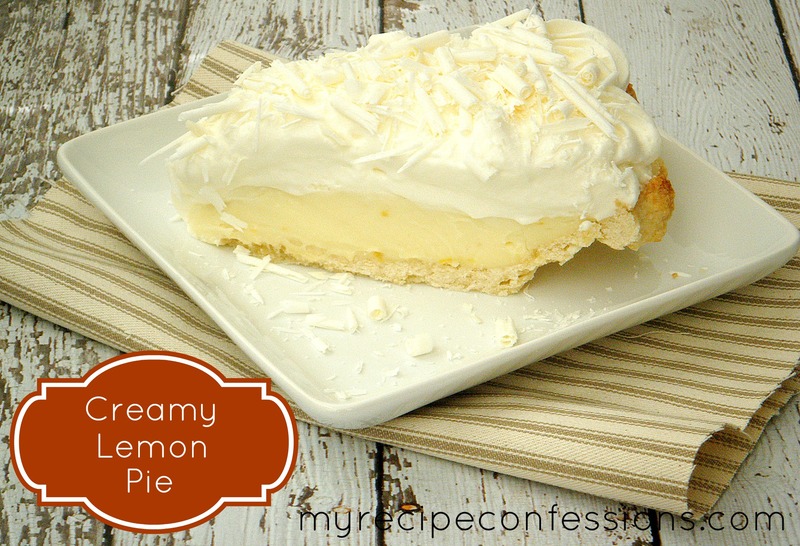 Here is a great recipe if you don’t like the tartness in a lemon meringue pie but love the lemon flavor. Growing up we always had a lemon meringue pie for Thanksgiving because it was one of my Dad’s favorite pies. I love lemons but the lemon meringue pies are too tart for me. When I tried this recipe, I thought it was the perfect compromise! It is also a pretty simple pie to throw together if you are in a pinch or just don’t want to spend a lot of time making a pie. This recipe is a keeper for sure! Beat yolks slightly. Gradually stir 1 cup of milk mixture into egg yolks. Return yolk mixture to saucepan, and bring to gentle boil. Cook and stir 2 more minutes. Remove from heat, and stir in butter, zest, and lemon juice. Fold in sour cream. Pour filling into baked pie shell and cool. Top with whipped cream. Pour all the ingredients into a large bowl and whip the cream until it forms stiff peaks.